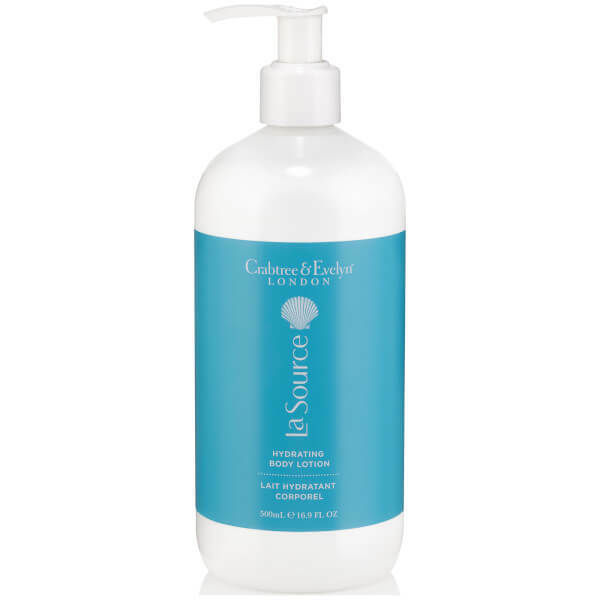 Feel perfectly pampered with the Crabtree & Evelyn La Source Body Lotion; a lightweight, quick-absorbing formula that delivers intense moisture and hydration without greasy residue. Fortified with a Hydra Marine Blend of antioxidant-rich Green Seaweed and Blue Sea Kale, the luxurious lotion softens and conditions skin, whilst Shea Butter and Vitamin E nourish and protect. Expect soft, supple skin with a fresh sea breeze scent to rejuvenate the mind and body. Massage into clean skin until absorbed.